Before the race, cheerleaders of women’s sport were applauding the inclusion, for only the fourth time ever, of a female jockey in “the race that stops a nation”. With odds on Payne’s horse reaching the 101/1 mark, the very presence of a woman in the line-up, it was quietly agreed, was progress enough. Nothing more was said of it. Certainly no one dared bet on it. While acknowledging the support and belief from her own small team, Payne took aim at the wider misogyny prevalent throughout the sport. “I would like to say that, you know, it’s a very male-dominated sport and people think we are not strong enough and all of the rest of it … you know what? It’s not all about strength, there is so much more involved, getting the horse into a rhythm, getting the horse to try for you, it’s being patient. Even as Payne was sending ripples through the sporting world, the cameras were refocusing on the celebrity-spotting and fashion parade – female-only, of course – that was happening in one of the exclusive enclosures away from the on-field action. “How long did you take to prepare for today?” one woman was asked as she tried hard to look comfortable in a dress she must have been sewn into. “Who are you wearing?” was perhaps the most frequent icebreaker. How great it would have been to have heard the same reporter asking Payne that question. Payne was, without doubt, the best dressed woman in that 100,000-strong crowd, wearing an outfit that exuded hard work, achievement and the fulfilment of a lifelong ambition like nothing else. Payne’s win offers an awkward situation, however. Certainly it is a “win” for women’s sport, but if the Melbourne Cup is considered a defining event of Australian sporting culture, it also provides a concerning endorsement of much that is wrong with that culture. The event has become an excuse for pretentious inebriation and ill-advised gambling fuelling garish behaviour and an overwhelming celebrity-worship culture. Macho posturing, money flaunting and female objectification appear at the heart of it. And that’s without mention of the animal welfare arguments. 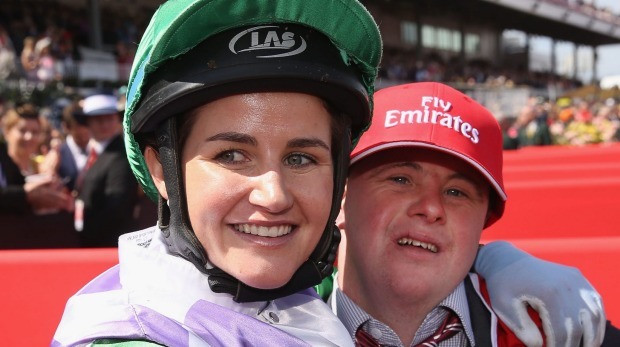 Most pressingly, however, the Melbourne Cup highlights a sporting culture in which women have to prevail against enormous odds from day one to be noticed (on field, that is). If one woman can provide such drama, such sporting accomplishment and skill to a degree that can catch the imagination of an entire nation, then we should be ensuring that every other female athlete has the same exposure, support and fanfare. This needn’t be a one-off. 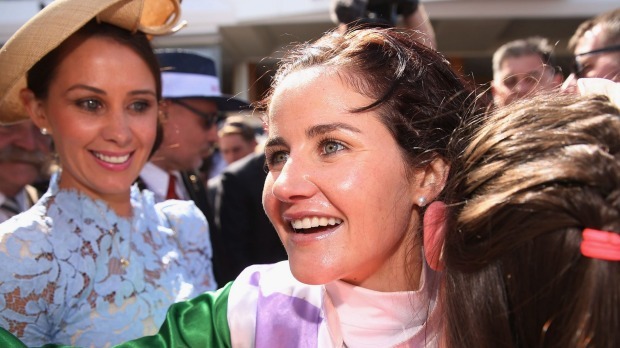 Payne believes women “don’t get enough of a go” in horse racing. It’s not just horse racing. The year 2015 has seen numerous high-quality achievements by Australia’s female athletes. The netball team, the Diamonds, triumphed for the third time in a row in this year’s World Cup. The basketball team, the Opals, this summer qualified for next year’s Olympics. The cricket team, the Southern Stars, trounced arch rivals England in the Ashes, and are sitting pretty atop the one-day world rankings. The launch of the Twenty20 Women’s Big Bash League (WBBL) to mirror the hugely successful men’s version is set to be an exciting spectacle, attracting overseas talent and encouraging media coverage before it’s even got under way. Female participation in AFL soared by 46 per cent this year as the push towards a national women’s competition is intensified. Australia’s female footballers, The Matildas, fresh from an animated World Cup campaign, have found strength enough to lock horns with their governing body over the right to earn a decent salary. Meanwhile, in the men’s world of sport, Australia found a cricket team humbled by an unlikely English mob. The nation’s most famous tennis star is making headlines for on-court outbursts rather than outcomes, and the most recent AFL headline involved white powder and ill-advised social media exploits. Only its rugby team has anything to write home about, but even those athletes remain without winners’ medals round their necks. 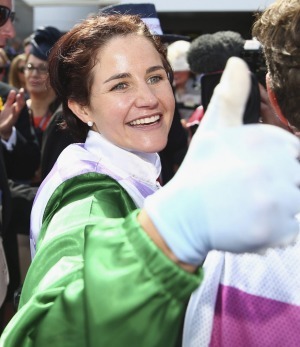 Payne’s victory highlights a need for change, for investment and belief in women’s sport. Last week the internet was in uproar at the news that the average international female cricketer earned $85,000 compared to the men’s $1 million earnings. The women’s figure, however, is in reality far lower – about half as much. Investment needs to come faster and higher than before if women’s sport is to capitalise on its potential. • This article was originally published in The Age, The Sydney Morning Herald and The Brisbane Times on 4 November 2015.